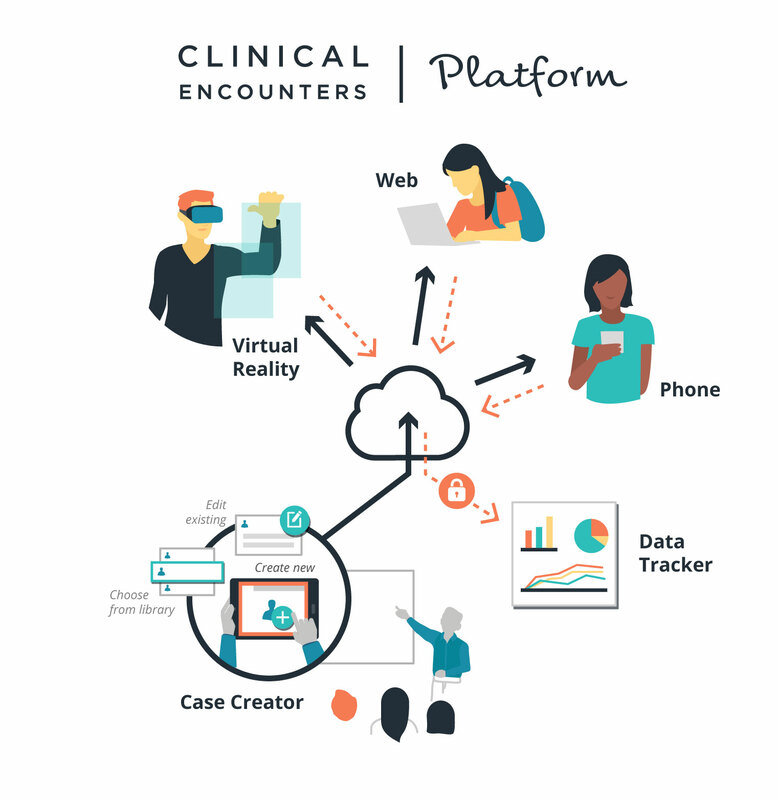 The Clinical Encounters Platform provides a simulated learning and shared experience environment for health professional students to enhance their skills related to patient evaluation for a number of health topics. Learning games are becoming more integrated into higher education and are being developed for a variety of medical topics. They have advantages over traditional training, such as inducing better retention of knowledge and skills in medical fields. Through the use of such technologies, medical education can be conveyed within interactive learning environments through a variety of platforms. Create, modify, or choose a case to begin. Share your case with students, fellow faculty, or the public. Interact with the case on your phone, a desktop computer, or in a virtual reality experience. Keep track of how your students are progressing through the case and what areas they may need more instruction on.